Israeli progressive metal band Orphaned Land released their first concept album Mabool, in 2004. After receiving rave reviews for their unique style of Oriental and Middle Eastern music, they are now working on a follow-up with prog legend Steven Wilson. Guitarist Matti Svatizky spoke to me about Orphaned Land’s seventeen year history, beards and the Israeli metal scene. Hi Matti, it’s a pleasure to interview one of the creative minds from such a great band! Before we start, I must know what happened to your beard? I thought it was pretty glorious haha. Hey man, what’s up? Thanks for the compliments, they’ll get you everywhere! Now for the more serious business, my beard! The truth is, in band photos it may have looked cool, but in real life it turned out to be a disaster, so I really had to let it go. For those who are new to the band, can you describe what Orphaned Land is all about? Well, visiting our website (orphaned-land.com) is a very good idea. You can really learn a lot from there, hear sample music, see my ex-beard, see the rest of the guys etc. But to sum up what we’re about, I’d say that we play metal with ethnic touch. The metal we play is influenced by the whole metal genre and has aspects such as thrash metal, heavy metal, death metal, doom metal, black metal, progressive metal and so on. However, our music is not inspired by metal only, but from other genres as well. We consider ourselves to be open-minded music lovers. Grab your baggy pants and turn your cap backwards, because Limp Bizkit is bringing the 90s back…. or at least they are trying to. 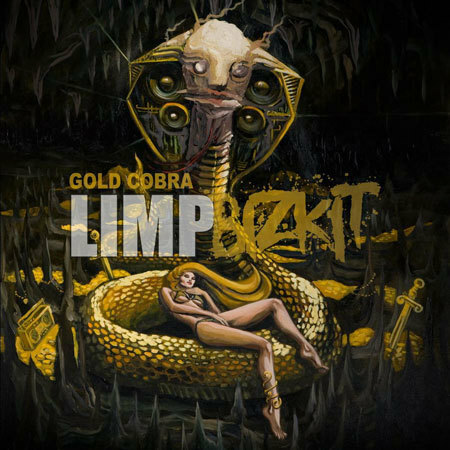 Gold Cobra, the band’s first release in six years, boasts a return to their nu metal roots. Vocalist Fred Durst proves he still has teen angst at the tender age of 40, as he makes 100 references to fighting haters. His traditionally whiny vocals are backed by cliché metal riffs and electronic wankery, which the band’s only cool member Wes Borland can’t even save. Surprise track ‘Walking Away’ offers a quick reprieve before the album resumes the testosterone-fueled depravity. However, if you hold any childhood nostalgia for the Limp Bizkit era, you’ll enjoy the comedy. From the irony of Durst rapping on a track called ‘Douchebag’ to one liners such as “walk with the limp, it’s the pirate pimp,” Gold Cobra is hilarious, whether intentionally or not. Plus there’s always worse music, Crunkcore anyone?